Revelation 12 is my favorite chapter 🙂 It begins with a specific sign in the sun, moon, and stars (fulfilled September 23, 2017). 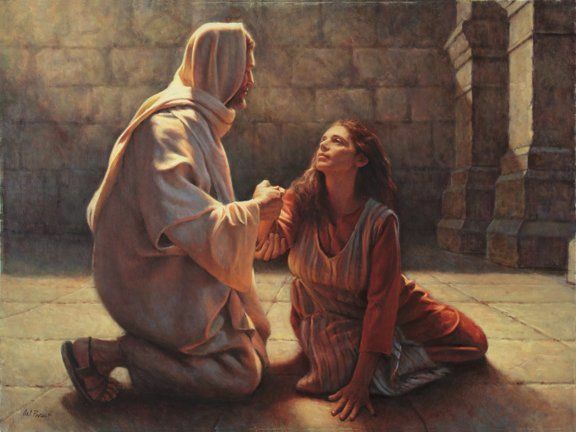 The woman, identified as Israel through strong connections to Joseph’s vision in Genesis 37, is pregnant and crying out in birth pains. This birth pain theme is a thread which ties together many verses about the Day of the Lord. Basically, Revelation 12 outlines that Israel about to enter her “birth pains”. Revelation 12 gives an overview of the entire Day of the Lord from a unique vantage point. I believe that verses 1-6 give an overview, and the rest of the chapter fills in details. I have discussed Revelation 12 verse by verse HERE, but in this post I hope to visually demonstrate what I mean by rearranging the verses by subject. I will insert my comments in [brackets]. 1 And a great sign appeared in heaven: a woman clothed with the sun, with the moon under her feet, and on her head a crown of twelve stars. [occurred September 23, 2017] 2 She was pregnant and was crying out in birth pains and the agony of giving birth. 3 And another sign appeared in heaven: behold, a great red dragon, with seven heads and ten horns, and on his heads seven diadems. 7 Now war arose in heaven, Michael and his angels fighting against the dragon. [Right before the resurrection/rapture? During the rapture? During the approximate 1/2 hour of silence of Seal 7?] And the dragon and his angels fought back, 8 but he was defeated, and there was no longer any place for them in heaven. 9 And the great dragon was thrown down, that ancient serpent, who is called the devil and Satan, the deceiver of the whole world—he was thrown down to the earth, and his angels were thrown down with him. 4 His tail swept down a third of the stars of heaven and cast them to the earth. [Seal 6, Rev 6 – 13 and the stars of the sky fell to the earth as the fig tree sheds its winter fruit when shaken by a gale. Does the Holy Spirit (Restrainer) remove with a violent wind (gale) just as He came down with a violent wind in Acts 2?] And the dragon stood before the woman who was about to give birth, so that when she bore her child he might devour it. 14 But the woman was given the two wings of the great eagle so that she might fly from the serpent into the wilderness, to the place where she is to be nourished for a time, and times, and half a time. [abomination of desolation until Second coming – second set of 1260 days] 15 The serpent poured water like a river out of his mouth after the woman, to sweep her away with a flood. 16 But the earth came to the help of the woman, and the earth opened its mouth and swallowed the river [armies?] that the dragon had poured from his mouth. 5 And the beast was given a mouth uttering haughty and blasphemous words, and it was allowed to exercise authority for forty-two months. 6 It opened its mouth to utter blasphemies against God, blaspheming his name and his dwelling, that is, those who dwell in heaven. 7 Also it was allowed to make war on the saints and to conquer them. And authority was given it over every tribe and people and language and nation, 8 and all who dwell on earth will worship it, everyone whose name has not been written before the foundation of the world in the book of life of the Lamb who was slain. I hope this rearrangement is able to help you visually grasp how I see Revelation 12 giving an overview of the entire Time of Jacob’s Trouble.